I had originally titled this post with the well-known phrase “throwing the baby out with the bath water,” but I didn’t want to confuse people, given how my past with over eager baby wishers already trying to lease out my womb. But I digress. As someone who admittedly has done this in the past (ahem, my rebellious phase at the beginning of the year where I was mad my healthy attempts and success at losing 30lbs last year still had me with high cholesterol), let me just pose the question: Why do you put so much pressure on yourself to be perfect? Why not take those occasional mishaps and just deal with it and be determined to make your next healthy choice the next one you make? Success does’t start on a Monday, or New Years, or only when you eat nothing but a perfectly balanced, clean diet throughout the day. It really made me think. Since when have I miraculously lost weight after one salad? I don’t put that kind of expectation on healthy food. I know that I need to be consistent and pair it with working out to see results. So then why would I convince myself that one meal can derail me? Sure, it is possible– especially if you succumb to trigger foods (Oreos are not allowed in my house), but YOU have the power to eat a treat and enjoy it occasionally. Or, if it really is considered a mistake in your mind, you are stronger than your mistakes. You can make a different choice after. You don’t have to chain yourself to your bad decisions forever. They only happen in the moment, so leave that moment behind. 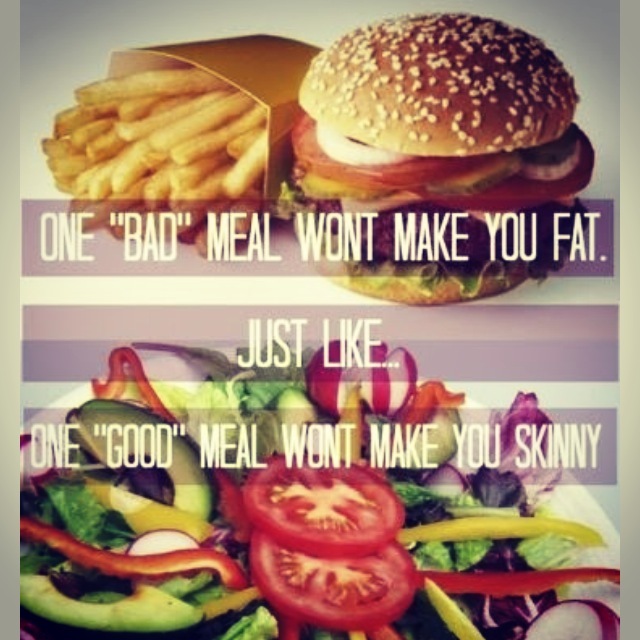 When is the time to start making healthy choices? NOW. This very second. If you’re mid-potato chip chomping while reading this, either finish your serving or toss it out because your next decision, my friend, will be a healthy one because you have the power to change your path in this very instant. Whether that change is taking a 15 minute break at work to go for a walk or to grab a fresh beverage of either water or green tea, the choice is yours. But that’s the thing– it’s a choice. You’re never a victim, so don’t let anyone convince you of that, even yourself. What healthy choice are you making today?